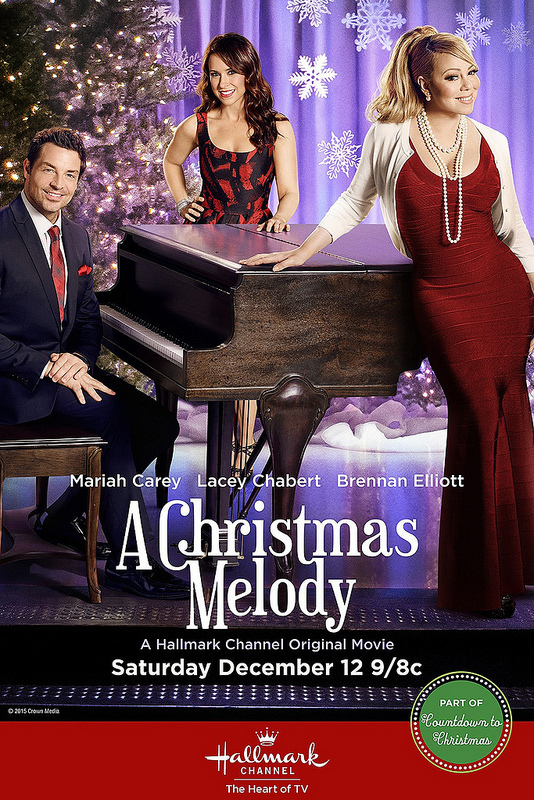 Hallmark strikes once again as we get another Christmas film from them. By now you’ll likely be well aware of the series’ usual tropes and plots, but as long as they are executed well it isn’t really a problem. In fact, it makes the film have to work extra hard to stay exciting so when it succeeds that just makes the movie all the more impressive right? This is another solid adventure and even has a musical twist even if that is the weaker part of the movie. Kristin has been forced to give up her dreams and move back to Ohio. Her startup business just wasn’t ready for the big time at the moment, but she knows that one day she will be able to make a comeback. She feels worse for Emily (her daughter) who will now have to start school again and try to make new friends. Fortunately there is a talent show coming up. The teacher is a guy who knew Kristin from back in school so he allows Emily to bypass the deadline and get into the show. Melissa, the PTA commander isn’t happy about that and decides to do her best to mess things up for Kristin. Will the lead be able to fight back or will this sabotage Emily’s one chance at happiness? The main worry you may have here is that Emily isn’t quite ready hold her own film as a supporting character. Kids rarely can after all. I’m afraid you would be right as Emily is certainly not the most interesting character in the film. I could have done without her plot but as its the main focus of the film that probably wouldn’t even make sense. She could have been worse I suppose. At first she was acting a little mopey and everything but once Santa gave her a talking to she was able to see the light. Santa’s just really helpful like that. He’s always in your corner and ready to help. He surprisingly doesn’t get a big role here besides that though. As for Kristin, she is a considerably better lead than the last few. She doesn’t let the bully Melissa push her around. If anything she gets combative from the start when it would have been easy to play into Melissa’s ego and get Emily an easy ride at the school. Kristin talks to Danny (the teacher) directly to get Emily in though so I like the fact that she was quickly able to adapt. This also feels less like a rebound compared to other films as I don’t even think she dumped anyone at the beginning here. It’s possible that I’m mis-remembering but either way this is a good lead. Then we always need to have the bully/ex role in these films and Melissa works well. She’s grown so powerful with her influence over the school that even the principal defers to her. I thought this was a bit much to be honest, but I suppose she is just that skilled. She was a fun character and without her the school probably wouldn’t have had nearly as much personality. Then you have Danny who is the main guy of the film. Naturally this means that he is here for the romance section. He’s a nice guy who is always trying to help everyone out so that’s a good thing. He’s the kind of guy that you want in your corner. That being said, it didn’t save the romance. Both Kristin and Danny are good characters individually but the romance comes off as rather rushed. They certainly didn’t know each other for very long here before realizing their feelings. It’s also so expected that you feel even less convinced since you can’t believe the characters when they act like it’s a tough decision. I get that the romance is a staple of this franchise, but I still think that it tends to not work very well in any of the installments. Just skipping the romance entirely would probably be a pretty good idea. As always the writing and pacing are pretty solid. The film never drags on and there is always something happening on screen. There are less crazy miscommunications here compared some of the other films which is always good. As I mentioned, Emily’s scenes are a bit weaker than the others though. The scenes of her just hanging around or singing just don’t work as well as they would have with one of the main characters. The final song also really doesn’t sound like she’s singing it. I’m thinking the special effects crew maybe went a little too overboard at that point. In universe though, I’m pretty sure it was intentional. Overall, A Christmas Melody is a fun film. As with the rest of them it plays out a bit like a wish fulfillment title as everything goes perfectly for Kristin and you imagine this as the ideal Christmas story. It does so without being too overly dramatic and avoids any real negatives. That’s really the secret to success in these films. Still, I do think it was just a little bit weaker than the rest of the Hallmark films I’ve seen so far. It was see-sawing between a 6 and a 7 even as I was writing the review. It’s a tricky case but while I’m not a big Emily fan I don’t think she takes the film down a full star either so I stayed with the latter score. I don’t think this would be my first Hallmark recommendation but if you’ve already seen the others then surely you should check this one out as well. It’s just a quality Christmas story. You didn’t think that the Christmas specials were over yet did you? No, it’s time to see what Jack Frost can do as he plays the main character of this film. It’s probably his most heroic portrayal yet and unfortunately this means that it’s probably going to be a heartbreaker. Let’s just say that it’s the saddest Christmas film I’ve seen since Jingle All The Way although both films try to throw you a curve ball with a sudden happy twist. I can’t say that it works, but it’s a fairly unique approach. Jack Frost was making the world cold for Winter as per usual when he decides that he wants to be a human. Father Winter warns him that this may not be a good idea, but Frost won’t take no for an answer. The proposition that is given to him is one that is unfair and dangerous…just the kind of challenge that Jack Frost was looking for! He is to find his partner, a house, a bag of gold, and a tough horse before Winter ends. To do this, he will have to liberate the city that has been overtaken by a dictator. The old man is outnumbered a few dozen to one, but he does have 1000 metal soldiers who do his bidding so this may be a little tougher than expected. This Christmas special probably had more action than all of the others put together. I was surprised at how intense the villain was. His name is Mr. Kraus and he is one of the better villains. He likes talking to himself via a metal sock puppet and this helps him get through his lonely days. He is all alone after all since his minions all ran away except for the empty, metal soldiers. That’s for good reason of course since he steals all of the money from the townsfolk and he never lets them live in peace. He was interesting even if he was no match for the Prince. Elsa Elisa is the main heroine and she gives Jack Frost hope during his ghost days. That being said, she had made it clear that she wouldn’t be free anymore once a knight in shining armor appeared. She just didn’t expect that such a figure would come back so quickly for Christmas. She gets kidnapped at one point, but she puts up a decent struggle (Off screen of course) and we all knew that she was safe with the knight. She may not have made the choice that Jack Frost was hoping for, but it was a pretty decent choice nonetheless. The knight is a pretty good character and the film resisted the temptation to make him a mean guy for no reason. He just wanted what was best for Elisa and he never strayed from his path. He can also fight and that is a big plus. The film has one action scene and it naturally involves him. He brutally slices his way through the army of robots and saves Elisa at the expense of his health. It’s easy to root for the guy and he also ignored Jack Frost’s insults because he is above such things. It’s safe to say that Superman’s later incarnations may have been inspired from this guy…it’s conceivable anyway. As for good ole Jack Frost, he is a pretty great character. Unfortunately, his bark is much worse than his bite. He talks a good game right from the start about how he’s going to crush Mr. Kraus and steal back the gold, but then he can’t even climb up the hill. It’s probably the most humiliating moment that I’ve seen for a protagonist since Goku got hurt by Uub’s kick!! (And that’s saying something) Jack is a nice guy, but he let his emotions get the best of him and he didn’t have enough practical training. His deal with the Groundhog was some pretty quick thinking on his part though so he got to end on a high note. Even you (meaning all of my blog viewers as well as my blog readers) will be shocked at how quickly he gets over the tragic ending of the film. The animation is a little sharper than some of the other Christmas specials. It uses an intriguing stop motion technique with Barbie dolls for the characters so their cheek bones really stand out, but you get used to it as the film rolls on. The fight scene looked pretty clear and the snow looked good as well. This is what I like to see from my Christmas specials even if the soundtrack was basically nonexistent. We got a song for Mr. Kraus, but it was (intentionally) not very enjoyable and Jack Frost’s song was only all right. This definitely isn’t Frosty level in the audio department, but it will do. The film has a bit of a slow beginning unless you’re a big fan of Pardon Me Pete. Every film has a cartoon narrator or at least they did back in the day so it makes sense that he would be here. He’s not bad, but his eyes make him look a little sinister and you’re always waiting for him to finish his sentences so that the actual film can begin. He’s probably the smartest character in the film though so you definitely don’t want to underestimate him. His plan was pretty foolproof after all. The part of the intro that I found a little more uneventful though was probably when the film decided to introduce all of the characters. It was basically a parody since most of their names were basically what you would expect. Still, it was certainly intriguing. Overall, You’ve probably heard of films that will leave you in tears before. Chances are that the people you heard were talking about this film. Technically, the ending isn’t played up to be a tear jerker, but if you really think about what just happened…it’s quite sad. It’s the kind of thing that just wasn’t thought about a whole lot back then, but it would be now. This was easily one of the more enjoyable Christmas specials even if it had a pretty slow start. It was more action packed and exciting than I had expected and I definitely recommend checking this one out for Christmas New Year’s Eve. It’s under an hour so you definitely can’t go wrong there. 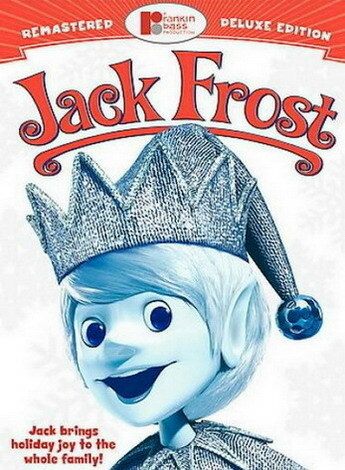 Haven’t you ever wanted to see Jack Frost play the lead? No worries, Frosty and Rudolph get cameos….heh heh heh.